There's No Place Like Home: Sick and A Goodbye...And Cake! Sick and A Goodbye...And Cake! 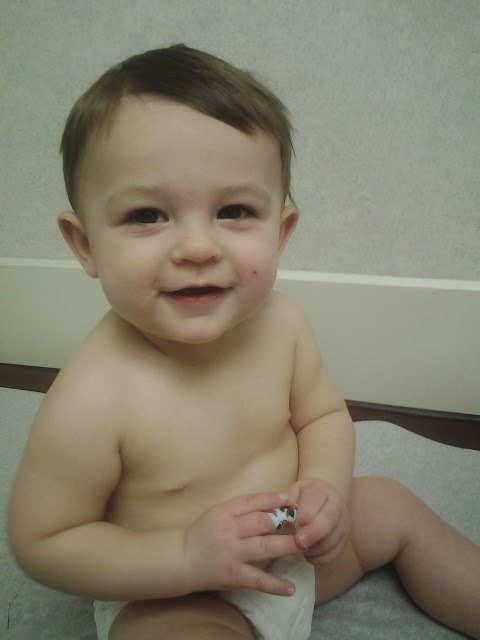 Jesse went to the doctor today for his 9 month appointment. We are only 3 weeks behind on that! He had to get his finger pricked to check for iron. He didn't even cry! 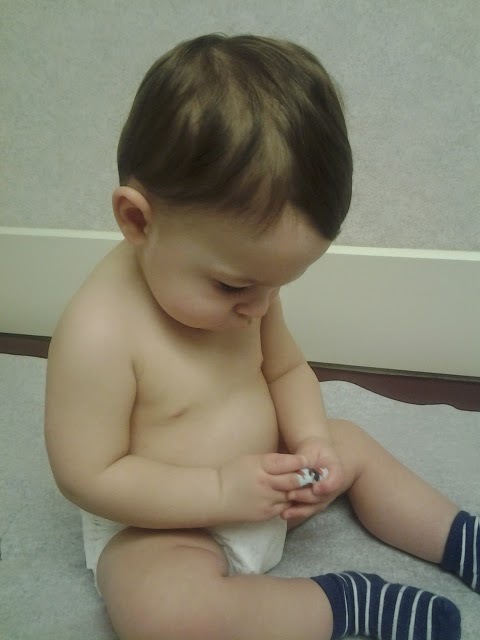 Then he desperately tried to eat off his Spiderman bandaid. He weighs 20 lbs and is 28 inches long. He has tripled his weight since birth. And I kind of feel like I have tripled mine since his birth too! 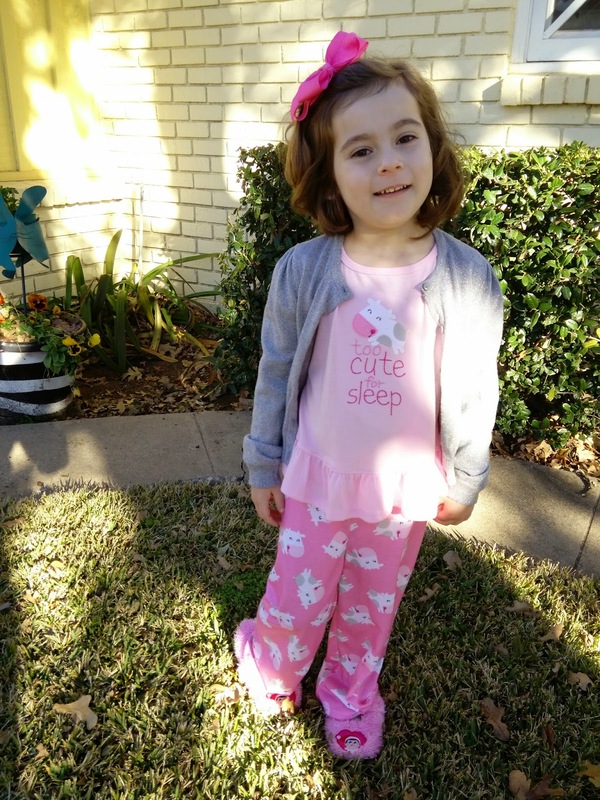 Yesterday was PJ day at Katie's school. And ironically it was my first day OUT of PJs in 5 days. I had a terrible sinus something? They were so swollen it made my face look funny and my eye was almost shut. AND it was killing my teeth too. And I just felt totally miserable. I had some kind of virus, but also I cut WAY back on sugar and didn't have a real Coke last week and I think my body was in shock. And a little ticked off! I am TRYING to eat healthier, but it's really not part of my personality! 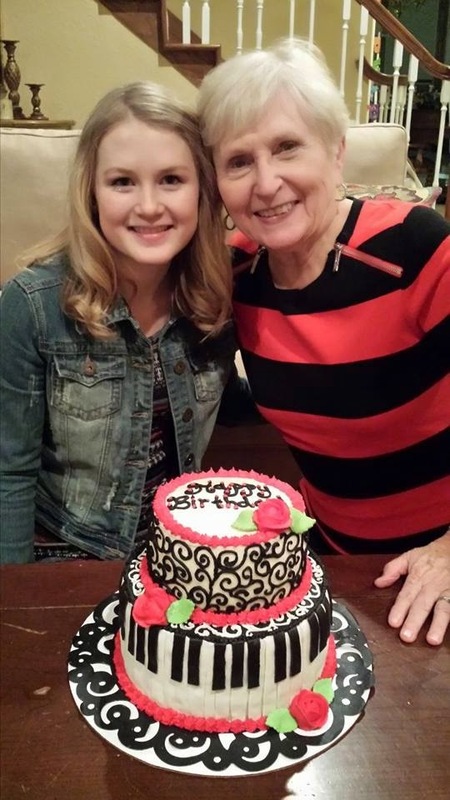 I missed my mother in law's birthday party since I was sick! Look at this cute cake my niece, Melissa, made. She plays the piano, so it's perfect! I was sad to miss it. And I would have loved to dive face first into that cake! 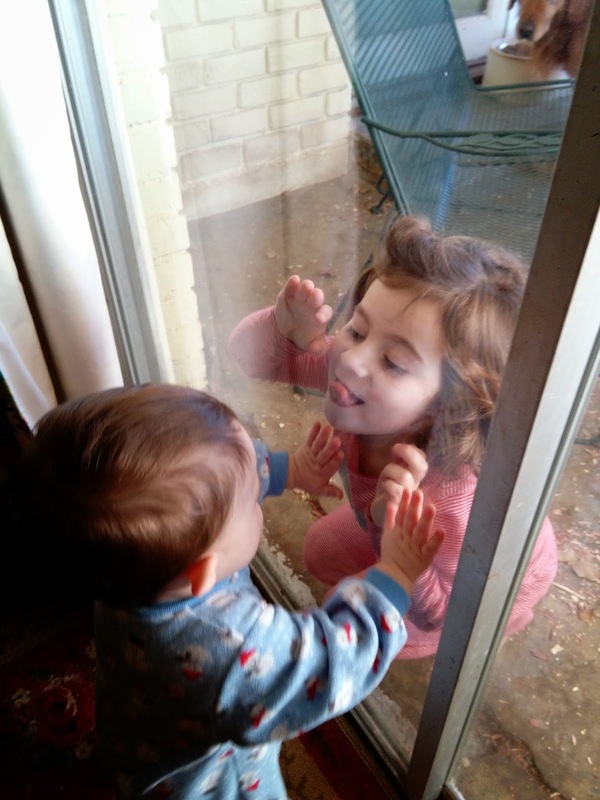 And here are my kids loving each other and being silly. Katie went out to pet the dogs. Jesse always wants to know what Katie is up to! I always tell them that they will be best friends! I know it's a cliche that kids sleep when you need them awake. And they are awake when you want them asleep. It's a cliche and it's TRUE! 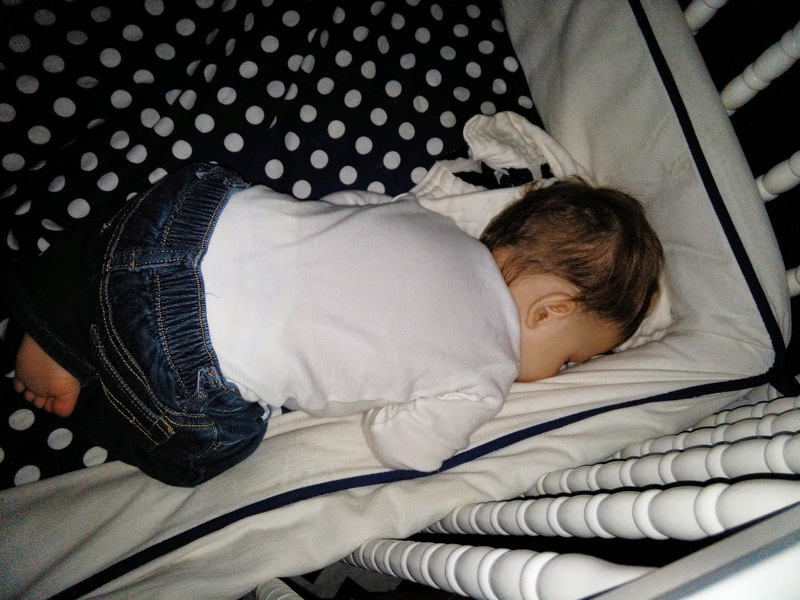 This was Jesse when I had to wake him up so we could pick Katie up from school. He must think I am CrAzY! I beg him to sleep then I wake him up? I love his little toes. And I took this pic at Golightly's. Just another reminder that I will be "that many" next month! Also, after 10 YEARS! 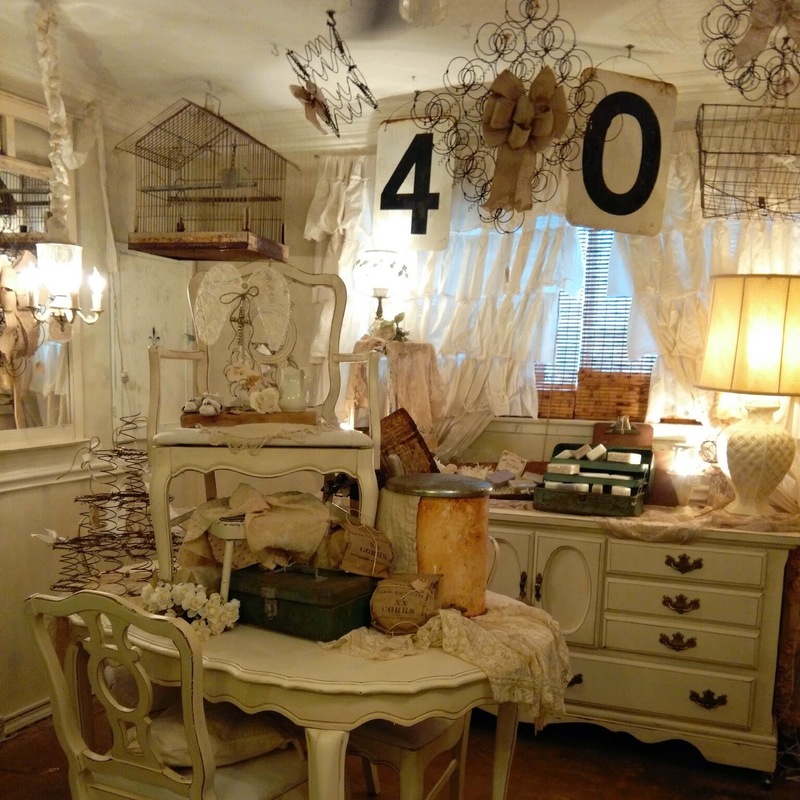 I closed up my space at Golightly's! It was such a sad decision. I really love that place and I will be a frequent shopper and visitor. For now I just need to focus on my family. I know I have mentioned a time or twenty, that I am overwhelmed. So the smart thing to do is eliminate some responsibilities. It was one of my more fun responsibilities though! Hopefully when Jesse starts school, I can go back. Until then, I will be a more present and intentional mom. I hate that you are/were sick and hope you feel better soon! I can't get over how big Jesse is now. 9 months went by fast! He's so handsome. We were in the area last week for my niece's basketball game and passed Golightlys. I wanted to go in SO bad, just didn't have enough time. Boo. That stage around 9 months is the cutest for naps and snuggling. I miss that! He is one cute boy! Hope you get to feeling better soon! !